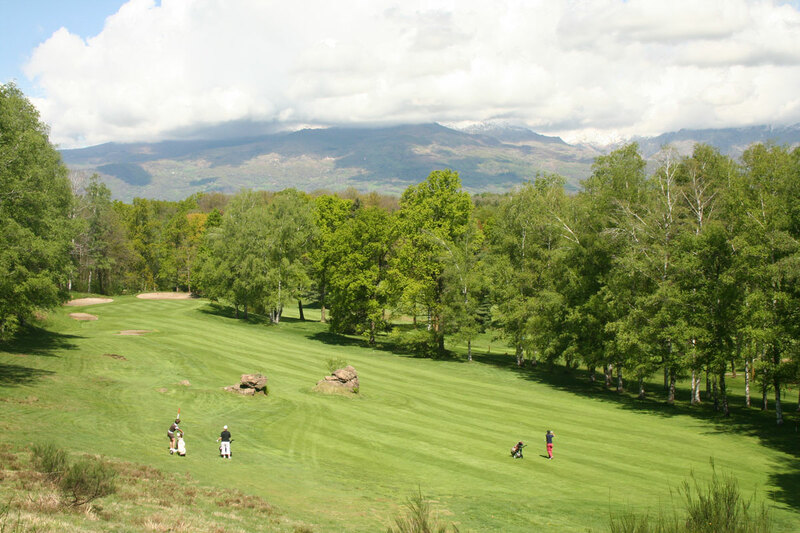 Players at the Betulle are always pleasantly surprised at the beautiful natural surroundings; The views are splendid: the morainic Serra hill to the left, the foothills of the Alps which seem to form the boundary of the Biella Golf Club. 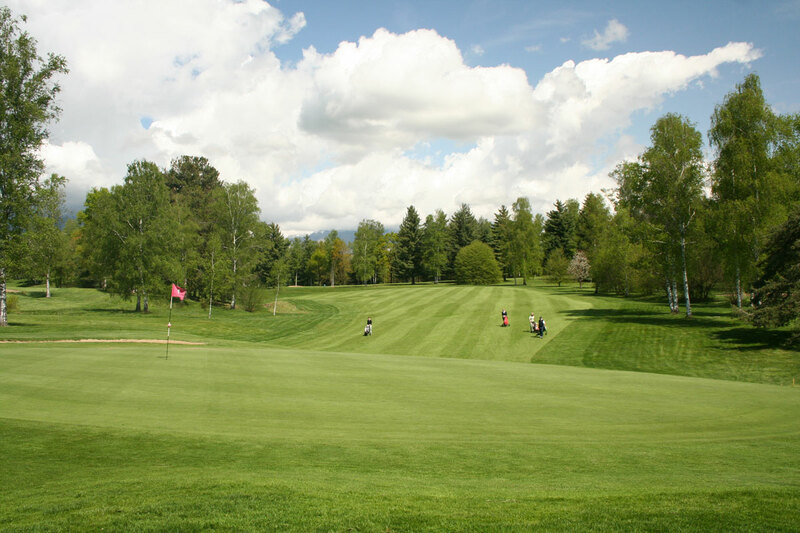 The 18-hole "Betulle" course, which is rated as one of the ten best courses in Italy, is situated at an altitude of about 600 metres above sea level. It was designed in 1957 by the English architect John Morrison. 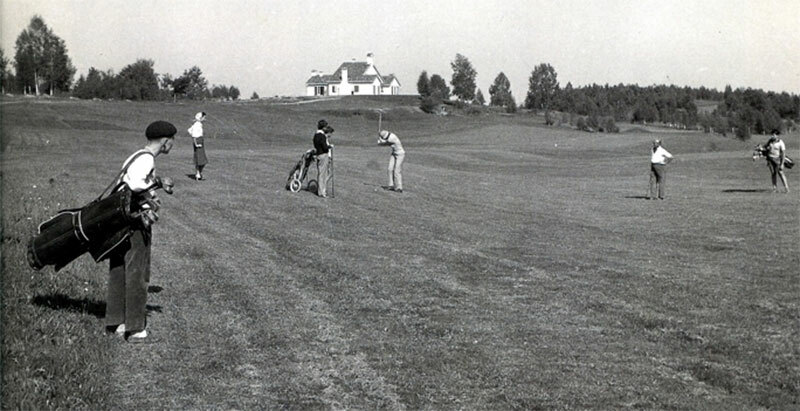 A natural course, of high technical calibre, for many years the club hosted the prestigious "Lancia D'Oro" Trophy where the top European professionals played. The Club's amenities also include an elegant guesthouse with 20 rooms for golfing enthusiasts who also enjoy a peaceful country holiday. Biella has made a name for Italian design. 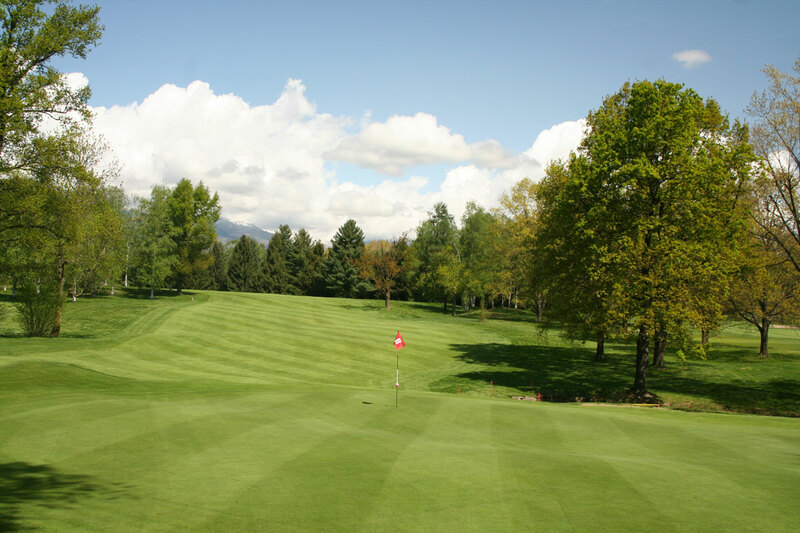 It is also the site of one of the more discreet but also one of the greatest golf courses in the whole of Italy, a course where architectural design plays second fiddle to the beauty of the landscape and terrain that were just made for golf. Yet it still took the designer skills of John Morrison to perfect the chemistry. The course has since been lengthened to meet the demands of the modern game, but unless you have the technique of a budding champion, we would recommend the normal tees to avoid needless suffering. 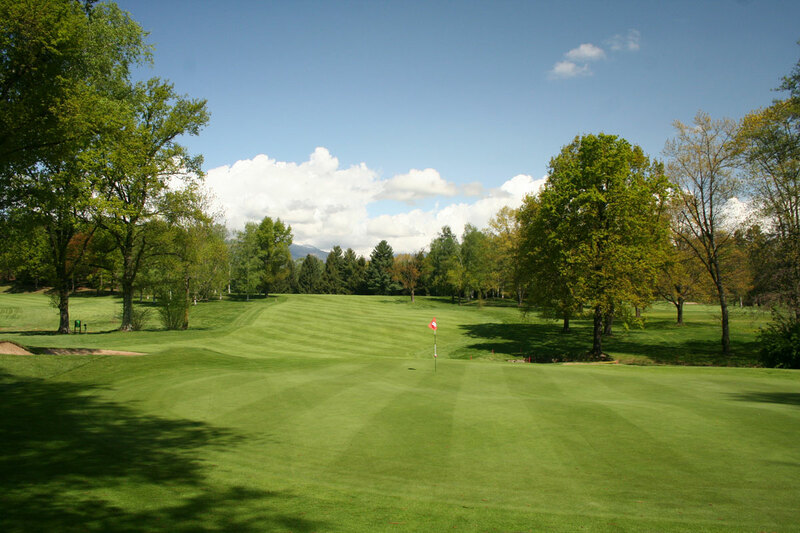 There is a very British feel to this course, which brings strategically located bunkers into play, along with diabolic ditches and no end of oak, chestnut and birch trees. Add to all this a remarkable touch of variety and you'll realize that here, sobriety does not necessarily mean monotony. All in all, a great test of golf in superb surroundings, but maybe a little too tough for inexperienced players. Piedmont is in Italy's northwest and borders Switzerland and France. True to the meaning of its name (foot of the mountain), Piedmont is a land of mountains. It is surrounded on three sides by the Alps, with the highest peaks and largest glaciers in Italy. The Alps form the background for sweeping, picturesque valleys, e.g. the Val di Susa, Valsesia and Val d'Ossola. The landscapes of the Langhe and Monferrato are hilly, rather, but just as beautiful, a succession of cultivated hills and vineyards that are dotted with small towns and castles. Expanses of water and rice paddies, long rows of poplars and old farmhouses make up the typical scenery of the plains around Novara and Vercelli. Lake Maggiore is the most sought-after tourist resort, including Stresa and the Borromean Islands, charming as they are with their ancient villas surrounded by beautiful lawns and gardens. Yet, nature is only one of the many attractions in Piedmont. This region has many other facets: from Turin – the Italian car manufacturing capital – with its history and remarkable cultural heritage, to other cities such as Cherasco, Alba and Ivrea. Next up are the intriguing Medieval castles - like the imposing fortress at Ivrea - and prized works of architecture - the famous Residences of the Royal House of Savoy and the Sacri Monti (Sacred Mountains) certainly deserve to be mentioned. The famous spa resorts of Acqui Terme and Vinadio offer treatments and therapy for a relaxing, reviving holiday. Discoveries and surprises of all kinds are in store for visitors to the region, including a wide range of food and wine to suit every palate. The Province of Turin lies on the border with France and Val d'Aosta, extending to Pinerolo, the picturesque Val di Susa, the Canavese and the hills to the east and south of the City of Turin. The area is characterized by its varied landscapes: magnificent alpine resorts, vast pasturelands, woods and large stretches of vineyards. The Province is also home to a number of reserves, including the Sacro Monte Natural Reserve in Belmonte, and the wonderful Gran Paradiso National Park, the undisputed realm of ibex, chamois, marmots, rare birds and other animals. In this spectacular natural landscape, cultural and historical finds abound. The entire territory is permeated with signs of the long reign of Savoy: think elaborate Savoy residences surrounded by grand parks (also a UNESCO World Heritage Site). Yet the most visible evidence of the Savoys' power is on view in Turin, an eclectic city that is a sort of open-air museum combining Baroque palaces, monuments from its glorious past and contemporary architecture. It is truly a dynamic scene that allows various styles to exist in complete harmony. Not only, but countless other treasures await those who would admire them, from imposing mountain fortresses like Forte Fenestrelle and Forte Exilles, to the abbeys lining the ancient Via Francigena or standing in the quiet solitude the countryside - the Sacra di San Michele, one of the most impressive monuments in Piedmont, comes to mind. The area’s historic town centers are custodians of ancient traditions: Ivrea, with its remarkable artistic heritage; Susa, Chivasso, Chieri; and the hamlet of Mélezet, preserving precious 15th-Century artworks. Finally, the local cuisine is without equals: delicious dishes, traditional recipes, excellent wines and the famous gianduja chocolate offer flavors to suit every palate. Turin Province surprises without limits, and shines bright with the glow of its epic history, its fascinating culture, and its magnificent natural landscape.